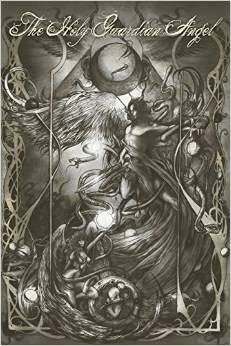 My first book, the urban fantasy/occult novel Arcana, was published in 2009 by Pendraig Publishing. Since then, I've published two more non-fiction books with them, Mastering the Mystical Heptarchy and Mastering the Great Table. The third book in my Mastering Enochian Magick series, Mastering the Thirty Aires, is in the works, and the plan is to publish that through Pendraig as well. I currently have three self-published fiction titles available. The first two, Trump Card and The Pathless Void, are available in both paperback and ebook editions. The former is a satirical Young Adult Dystopia novel with paranormal elements where the dystopia in question is the Donald Trump administration. The latter is a classical science fiction novella involving space travel and aliens. My third title, Cthulhu Unbound, is available as an ebook only and is a satirical Lovecraftian short story. I also have two upcoming fiction titles that will be released by Moonfire Publishing. One is Ipswich, my sequel to Arcana. The other is Written In Blood, a vampire mystery set on the North Shore of Lake Superior in northern Minnesota. For that one I collaborated with Sheila Marshall, the author of a couple of other Moonfire titles. If you feel like the Donald Trump administration bears an uncanny resemblance to one of those Young Adult Dystopia novels, Trump Card is the book for you. It satirizes the popular Young Adult Dystopia genre, the Trump administration, and reality television with a healthy dose of magick and the paranormal. In order to bring the Resistance to life, our intrepid young heroine must confront Nazis, meme magicians, and Trump-supporting occultists, while competing with her fellow students for the coveted Junior Apprentice title. Armed with a mysterious pendant that confers paranormal luck, she does battle with the forces of bigotry, stupidity, and the dark magick of the Sons of Kek. 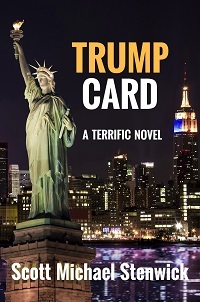 Trump Card is a terrific novel - I guarantee it! Click here to find out more. If you're a fan of "Golden Age" science fiction stories that are heavy on speculative science and technology, you'll love my science fiction novella The Pathless Void. It tells the story of physicists Evan Walker, who designs the first functional warp drive, and Heather Richmond, who builds a power source capable of supplying the necessary energy to make it work. On humanity's first warp flight to Alpha Centauri, the crew of the ship discovers a derelict alien vessel. Walker and Richmond are called in to devise a way to salvage the ship and bring it back to Earth, and Walker must overcome his fear of space travel if they hope to succeed. Will they return home safely, or will they be trapped in the pathless void between worlds? 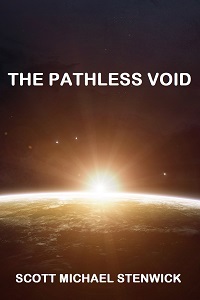 Click here to find out more about The Pathless Void. 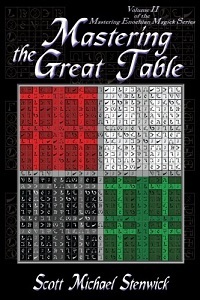 Mastering the Great Table continues my exploration of the Enochian magical system to include the angels and cacodemons of the Great Table or Watchtowers according to John Dee's original grimoire schema. 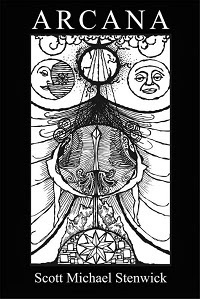 As in the first book of the series, the material is structured around a master ritual template suitable for both modern and grimoire-style work depending upon the preferences of the individual practitioner. 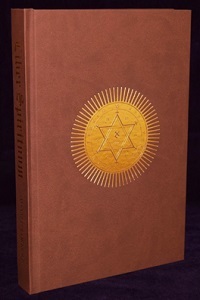 The book also includes a new set of Agrippa-style talisman designs derived from the structure of the Great Table itself, a heavily revised grimoire-Enochian version of Israel Regardie's Opening by Watchtower ritual, and streamlined conjurations for the various entities that occupy the four Watchtowers. 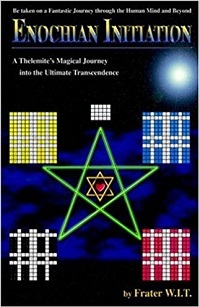 As in the first book, I also include Thelemic alternatives to Dee's Christian prayers and procedures and ongoing discussion of magical techniques and methods. Click here to find out more about Mastering the Great Table. 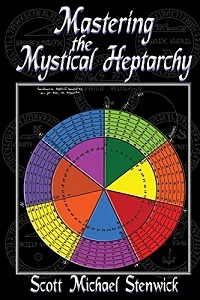 Mastering the Mystical Heptarchy is my first non-fiction book and also my first published work on magical practices. 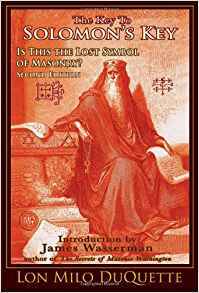 It is the first of three planned books on John Dee's system of Enochian magick approached from a perspective that owes more to the grimoires of the Renaissance than to modern reconstructions such as that of the Golden Dawn and its later revisions added by Aleister Crowley. I have been working with and developing this approach since the mid-1990's, and have found it to be extremely potent and effective. While it does include some reconstructed and modern elements, I lay out the system according to a master ritual template that shows where each of those elements is inserted into the structure for practitioners who would rather skip them and work the system Renaissance-style. 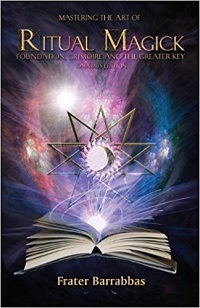 This first book focuses on working magick with the Heptarchia Mystica, Dee's planetary system that he arranged into a more or less workable grimoire. Future books in the series will cover the Great Table and the Thirty Aires. You can read a review of Mastering the Mystical Heptarchy by Michael Cecchetelli, author of Scarlet Imprint's Crossed Keys, here. Click here to find out more about Mastering the Mystical Heptarchy. Arcana is my first published novel. The original draft was completed in 1989 during my Sophomore year at St. Olaf College, and while that version was much different than the current published edition the main storyline and characters are essentially similar. It was released by Pendraig Publishing at the end of 2009. The novel tells the story of a modern-day magical order fighting to defeat a renegade demon who is seeking to bind all of the world's magick to his will. The story is set in Minnesota, mostly the Twin Cities and Rochester, with many geographical details. In addition to a thrilling and entertaining storyline, the novel also includes realistic renderings of various spells, magical forms, and Enochian incantations. Click here to find out more about Arcana. Cthulhu Unbound is a satirical Lovecraftian short story that I self-published as an ebook years ago. It is one of my few complete short stories, which for some reason I've never been very good at writing. The ebook also includes a preview of the Arcana prologue. In the story, a bullied high school boy gets his hands on the infamous Necronomicon and plans to conjure the dreaded Elder God. 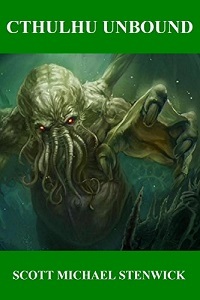 He dreams of Cthulhu rising up to destroy his enemies, but when he finally performs the summoning spell what he gets is not quite what he expects. The idea is based on a joke I came up with years ago in response to how incredibly seriously certain people in the 1990's chaos magick community took "Cthulhu magick." Suffice it to say, I found that seriousness incredibly silly. If you're a fan of Lovecraftian fiction and are looking for a good laugh, you'll love Cthulu Unbound. 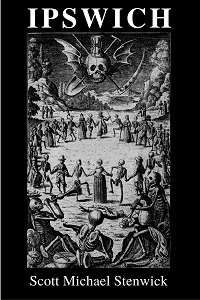 My essay Evoking Zodiacal Angels is included in this limited edition anthology from Azoth Press. 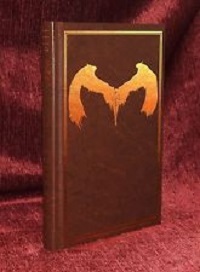 The limited edition hardcover is not available on Amazon, but may be purchased directly from the publisher by clicking on the cover image to the left. The anthology is beautifully edited and produced, and showcases the work of the various contributors quite well. In addition to my essay, it includes excellent articles by John Michael Greer, Aaron Leitch, Charles Chic Cicero & Sandra Tabatha Cicero, Jake Stratton-Kent, M. Isidora Forrest, Bryan Garner (Frater Ashen Chassan), Jeffrey S. Kupperman, and Adam P. Forrest, who edited the anthology. The limited hardcover edition is still available. It can be ordered directly here. My essay The Descended Angel is included in this limited edition anthology from Nephilim Press. The limited edition hardcover is not available on Amazon, but may be purchased directly from the publisher by clicking on the cover image to the left. The image does not really do the book justice; it is beautifully produced and showcases the work of the various contributors quite well. In addition to my essay, it includes excellent articles by Jason Miller, Rufus Opus, Frater Ashen Chassan, Aaron Leitch, Kevin Abblett, Darren Scriven, Conjureman Ali, Derik Richards, and Michael Cecchetelli who also edited the anthology. The limited hardcover edition sold out a long time ago, but there is now a paperback edition available here. Robert Rubin is an occult investigator located in the Philippines. His book is an introduction to magical self-defense that is suitable for novices with little magical training. 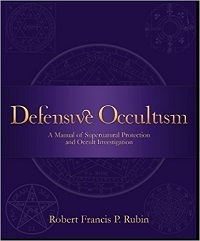 The book touches on various types of magical and psychic attacks along with specific remedies for them, drawn from Rubin's own practical experience working with clients. Experienced practitioners may find the contents somewhat basic, but Rubin's clear, non-nonsense style effectively communicates the material even to those without much in the way of magical training or study. 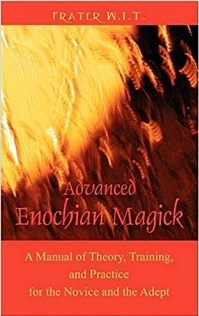 Advanced Enochian Magick, by Frater W.I.T. Frater W.I.T. is a fellow OTO brother who has published two interesting books on working Enochian magick. This is his second, an exposition of how he constructs his own Enochian rituals and works with the magical system. It's a fascinating look into a customized system developed by a practicing magician for performing real magical operations. One caveat with this book is that one of the members of my magical working group didn't like what he considered to be dogmatic pronouncements about Enochian magick on the part of W.I.T. Personally I didn't notice that so much, since I was reading it as a personal system developed by a magician for his own use. W.I.T. 's system does differ substantially from my own, but it's worth reading about nonetheless. 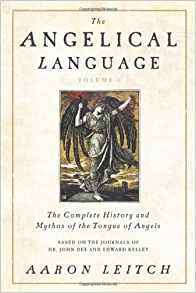 Even though I posted an article awhile back that was somewhat critical of Aaron Leitch's guide to Angelic pronunciation and the same methodology is used in this book, it is nonetheless an impressive effort that among other things assembles John Dee and Edward Kelley's Liber Loagaeth operations into something resembling a workable system. I tried and failed at this myself at one point, so I know how much work must have gone into it. I don't necessarily agree with all of Leitch's conclusions, but the book nonetheless includes a lot of good material and is well worth owning. Just make sure that you understand where he is coming from before you accept his pronouncements about the Enochian system as fact. 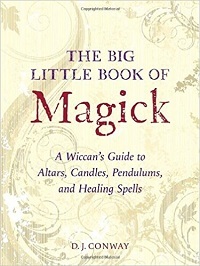 This book is an introduction to Wicca and Wiccan magick. As far as I can tell it is intended for beginning students of Wicca who know next to nothing about magical practices and want to learn something simple but workable. In that regard I found it to be a decent introduction that someone with little experience could put to good use, but even intermediate level practitioners are not likely to find anything in it that they don't already know. Furthermore, it is written from a purely Wiccan perspective and students of other magical paths will probably find themselves in disagreement with many of Conway's philosophical and ethical assertions. 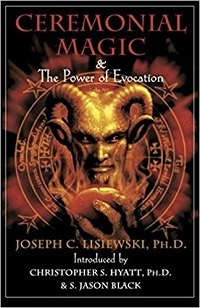 Among modern occult writers Joseph Lisiewski is the king of dogmatic pronouncements. His system may work well for him, but when he starts going on about how its the only way magick can possibly work and get measurable results he's simply wrong. I get measurable results all the time using magical forms that Lisiewski claims are worthless. That being said, this book does contain a good set of notes for working with the Heptameron that obviously is informed by real practice. Just remember that if something you read in this book sounds extreme or odd that's because it is. Lisiewski's methods are in fact highly idiosyncratic in a number of ways even though he claims to be working with the "real" tradition of magick. My review can be found here. In it I try to explore where Lisiewski is coming from and how his approach could make sense in that context. 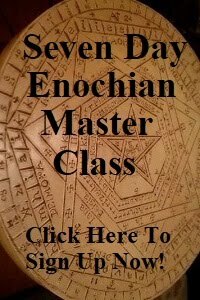 Enochian Initiation, by Frater W.I.T. This is Frater W.I.T. 's first book on Enochian magick. It is essentially a magical record of a long series of operations, so much of the content is of a personal nature - but it's great nonetheless. This is exactly the sort of magical research that magicians everywhere should be performing and publishing if we ever want to set up a system of peer review akin to that found in the more established sciences. Based on the experiences recounted in this book my magical working group tweaked our last series of elemental operations to follow density order (Earth - Water - Air - Fire) rather than inverse YHVH (Earth - Air - Water - Fire) and the series went a lot more smoothly. This book confirmed our observation that with inverse YHVH people tend to have problems with the transition from Air to Water. Lon DuQuette is a friend and fellow OTO brother who also happens to be among my favorite occult authors. He's very knowledgeable but at the same time his writing is approachable, accessible, and often quite amusing. Even though as a Mason I'm not sure that I agree with the central thesis of this book, that Masonry was originally built around the Solomonic magical tradition, DuQuette's speculations on the subject make for a good read. He also includes plenty of basic information on Solomonic and Goetic magick. These are mostly of an introductory nature, but the possible connections with Masonry are intriguing even if they turn out to be unsubstantiated. Frater Barrabbas is a friend and fellow magick blogger who originally published this book in three parts. My article was written in response to a review posted on The Esoteric Book Review by a reviewer who seemed particularly clueless and frankly not very intelligent to boot. The reviewer seemed confused that this book is an intermediate-level title that assumes the reader is familiar with introductory material found in Barrabbas' first book, The Disciple's Guide to Ritual Magick. My review was of the first book in a series of three. The image is of the latest omnibus edition that includes all three original volumes of the series. 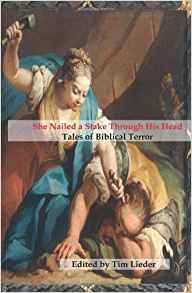 This book is a fun and at times truly disturbing collection of horror tales based on stories from the Bible. These days I don't find myself reading a lot of fiction, but some of the stories in this anthology are really good and I found myself not wanting to put it down. You would think that a concept this simple and brilliant would have been hit upon by a major publisher, but in fact this book was released by a small publishing house without a massive promotional budget. So by purchasing a copy you'll be supporting independent publishing and getting your hands on some great tales by up-and-coming authors in the horror genre. Based on Sunday School stories, no less. It remains to be seen whether this film represents a new trend, but if so it's a welcome one. The film tells the story of a woman who performs a fictional version of the Abramelin operation. It's a pretty inaccurate rendering of the ritual, so I think it probably would have been better had the screenwriter just called it some other operation from a fictional grimoire created just for the film. However, I enjoyed it very much because unlike virtually every other film about magick, it gets many of the broad strokes right. It shows magick as a discipline that takes time and hard work. 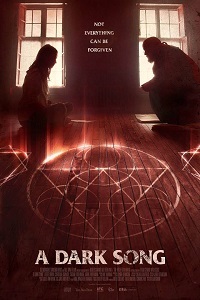 In one of the few similarities with the real Abramelin, the ritual in the film spans months of devotion and practice. This is far more realistic than the usual Harry Potter incantations that take two seconds to utter and produce results right away. As long as you have a high tolerance for the cheesiness that inevitably accompanies dramatizations of paranormal events A Haunting is a really fun show. It's reasonably well-done and tries to stick to the reported facts of the cases it presents, though naturally certain elements are exaggerated every so often for dramatic effect. Many of the stories are supposed to have happened years ago, so it may be that those exaggerations are not entirely the producers' fault. Stories grow with the telling, and it's not that surprising to find that some of the most extreme cases are also the oldest. Nonetheless, even the least believable cases make for an interesting study in the evolution of modern urban legends and ghost folklore. 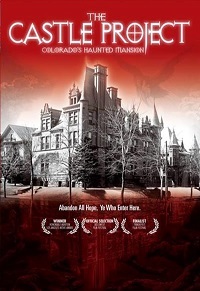 Despite some outlandish speculation on the part of the filmmaker, I enjoyed this documentary on the renovation of a historic, reputedly haunted Colorado mansion into a bed and breakfast now called the Patterson Historic Inn. Some may be disappointed that the paranormal investigation of the site failed to turn up any solid evidence of ghostly activity, but the documentary also includes stories from previous residents. While these may or may not be completely true, they are entertaining and provide some justification for why the filmmakers decided to investigate the site in the first place. In my full review, I comment on the events depicted in the film and also offer a critique of a skeptical debunking of the documentary.